You will find below the horoscope of Carolina Izsak with her interactive chart, an excerpt of her astrological portrait and her planetary dominants. If you know the time of birth of Carolina Izsak, we would appreciate it if you would send us your information with your source, at stars@astrotheme.com. To thank you for contributing to the enhancement of our astrological database, we shall be glad to send you the astrological portrait (34 pages) of this celebrity. Horoscopes having the same aspect Mars trine Uranus (orb 0°04'): Brad Pitt, Napoleon I, Gerard Butler, Adriana Karembeu, Ingrid Chauvin, Michael Fassbender, Jennifer Garner, Carmen Electra, Anna Nicole Smith, Sylvia Plath, Lance Armstrong, Carrie Underwood... Find all the celebrities having this aspect. Horoscopes having the same aspect Sun conjunction Pluto (orb 1°28'): Katy Perry, Emma Stone, Tim Burton, Amber Rose, Alicia Silverstone, Mystic Meg, Hassan II of Morocco, Stephen Fry, Natacha Amal, Pio of Pietrelcina, Federico García Lorca, Alessandra Sublet... Find all the celebrities having this aspect. Celebrities clicked on in real-time: 577,209,299 times. Carolina Eva Izsák Keményfy (born September 21, 1971 in Caracas) is a Venezuelan beauty queen who competed in the 1992 Miss Universe pageant on May 8, 1992 and placed fourth after being the leader of the competition that night. Early life Izsák was born to a Hungarian family. She was crowned Miss Venezuela 1991 representing the state of Amazonas. Her runner-up in the pageant was Ninibeth Leal of Zulia, who would represent Venezuela in Miss World 1991. Miss Universe She went on to represent her country in the 1992 Miss Universe pageant held in Bangkok, Thailand in May 1992, and was the apparent winner after placing first during the preliminary competition and winning the evening and swimsuit competition events on finals night. Here are some character traits from Carolina Izsak's birth chart. This description is far from being comprehensive but it can shed light on his/her personality, which is still interesting for professional astrologers or astrology lovers. 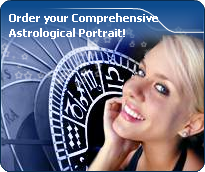 In a matter of minutes, you can get at your email address your astrological portrait (approximately 32 pages), a much more comprehensive report than this portrait of Carolina Izsak. Warning: when the birth time is unknown, which is the case for Carolina Izsak, a few paragraphs become irrelevant; distributions in hemispheres and quadrants are meaningless, so are dominant houses and houses' accentuations. Therefore, some chapters are removed from this part. Cheers for communication and mobility, Carolina Izsak! The predominance of Air signs in your chart favours and amplifies your taste for relations and for all kinds of short trips, whether real (travels) or symbolic (new ideas, mind speculations). You gain in flexibility and adaptability what you lose in self-assertion or in pragmatism. Like the majority of Earth signs, Carolina Izsak, you are efficient, concrete and not too emotional. What matters to you is what you see: you judge the tree by its fruits. Your ideas keep changing, words disappear, but actions and their consequences are visible and remain. Express your sensitivity, even if it means revealing your vulnerability. Emotions, energy and communication must not be neglected; concrete action is meaningless if it is not justified by your heart, your intellect or your enthusiasm. The Mutable mode is the most emphasized one in your natal chart, Carolina Izsak, which indicates a mobile character that is curious and thirsty for new experiences and evolution. You are lively and flexible, and you like to react quickly to solicitations, but don't confuse mobility with agitation, since this is the danger with this configuration - and with you, stagnation is out of the question. Security doesn't matter as long as you are not bored. You optimize, you change things, you change yourself... all this in a speedy way. After this paragraph about dominant planets, of Carolina Izsak, here are the character traits that you must read more carefully than the previous texts since they are very specific: the texts about dominant planets only give background information about the personality and remain quite general: they emphasize or, on the contrary, mitigate different particularities or facets of a personality. A human being is a complex whole and only bodies of texts can attempt to successfully figure out all the finer points. You are sensitive to beauty, Carolina Izsak, and your emotional reactions are often of an aesthetical order because, even in the appearances, balance and harmony are necessary for your well being. You easily identify with others, you have a talent for emphasizing their best qualities and you solve their problems with tact and diplomacy. You endlessly weigh the pros and the cons and you constantly try to please your interlocutors. In doing so, you may develop a strong dependency because you need their approval too much. It is difficult for you and your entourage to deal with your indecisiveness because it inclines you towards contemplation more than towards creation and you are tempted to procrastinate unless you try to charm others into doing things for you. But as long as harmony prevails... isn't it what matters? Carolina Izsak, it is impossible to hide it: to love, to be loved and to please, all these activities are at the centre of your life. Because you loathe solitude, you are constantly looking for company, and if possible, for an amorous company. It does not mean that you are full of passion all the time: you are refined, delicate and charming and you skilfully make use of customs with moderation and balance, without losing sight of your personal interests. You are ready to adjust and to compromise in all circumstances. You want to love and to remain integrated in your society: love gives precedence to propriety, which is fundamental to you. You are particularly gifted for this game of refined courtesy and politeness where appearances are at least as important as contents; you are able to show what you feel like showing and you achieve your ends with elegance, gentleness and goodness. These are precisely your main assets. Carolina Izsak, the way you take action is quite paradoxical: you carry out your business perfectly well when you are in a teamwork with collective goals, but you do so in your original and individualistic manner: this is your main peculiarity. Your concern is to express your originality and your specificity while remaining immersed in a human community. You are curt and not very flexible. You are inventive and you easily fight authority, just because its very principle runs counter to the sacred values of freedom, independence and, above all, the absence of constraint. Competition does not appeal to you. You prefer to be useful and to conquer new territories of the humanitarian or the intellectual type. On the sexual plane, you are also often original and surprising regarding your fantasies and your tastes. This text is only an excerpt from of Carolina Izsak's portrait. We hope that it will arouse your curiosity, and that it will prompt you to deepen your knowledge of astrology, as well as to visit and use the wide range of free applications at www.astrotheme.com.